Wish someone a happy, crafty Christmas with a prepaid Paper Pumpkin subscription! 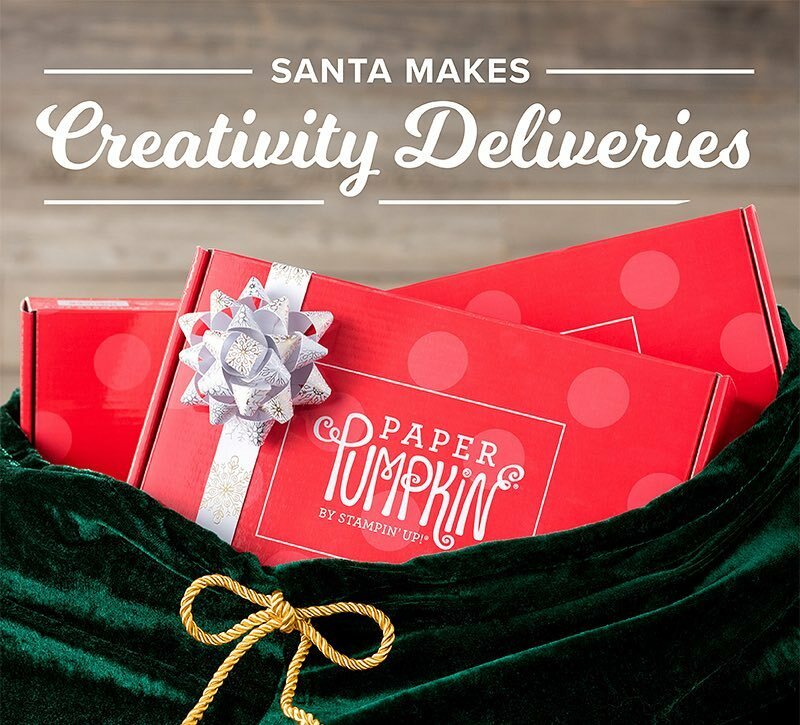 Purchase a 1, 3, 6, or 12-month Paper Pumpkin subscription and we will send you a code and gift card to help you give creativity this holiday season. Prepaid subscription codes are purchased at stampinup.com/store and then redeemed at paperpumpkin.com to activate a subscription.